From “The Women’s Health Big Book of Exercises“, I’d like to introduce you to Rachel Cosgrove, one of the world’s top fitness experts who’s known industry-wide for her ability to meld the latest in muscle and fat loss science to achieve stunning results. Now how does that sound, are you up for a challenge? Do this workout 3/week. You can do it as your primary weight workout, or as a cardio workout on the day between your regular weight workout. This approach will help you speed fat loss even more. 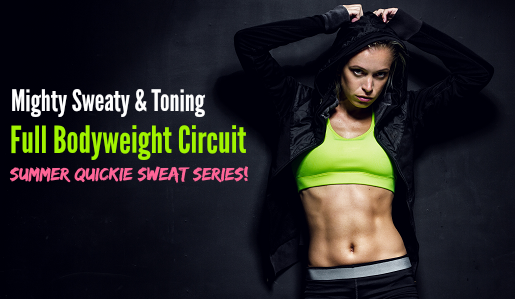 Perform the workout as a circuit, doing 1 set of each exercise – or “station” – in succession. Each station in the circuit lasts for 60 seconds. Do as many repetitions as you can in that duration, then move on to the next station in the circuit. Give yourself 15 seconds to transition between stations, and rest for 2 minutes after you’ve done one circuit of all 10 exercises. Then repeat 2 times. If you can’t go for the entire minute on the body-weight exercises, go as long as you can, rest for a few seconds, then go again until your time at the station is up. Prior to each workout, complete a 5-10 minute warmup. 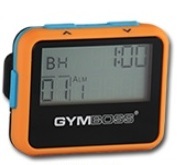 Set your interval timer at 10 sets of 60 seconds (exercise): 15 seconds (rest). Click on each exercise to view illustrations & instructions from the Men’s Health website. 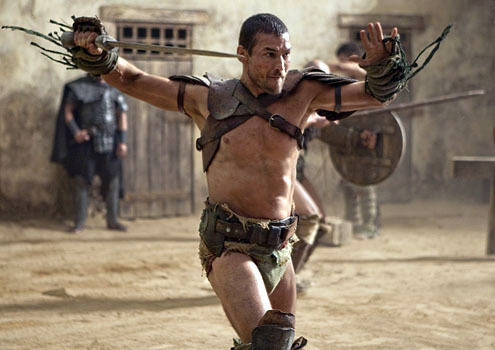 Click here to watch “The Spartacus Workout: behind the scenes”. () If the extra weight of the Db. makes it too difficult to perform the exercise with proper form, simply start off without weights, or with lighter weights.